The wait is over (almost). Since the introduction of vSphere Web Client, many admins have slowed down the adoption of the Web Client as well as updates to vSphere due to the performance of said client. 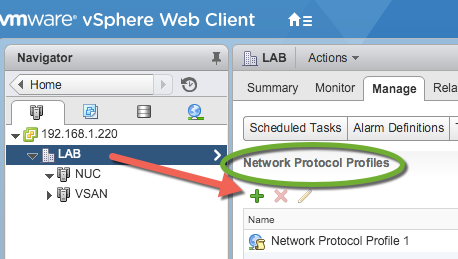 Like I mentioned before, starting with vSphere 6.0 U2, the host web client is already embedded into vSphere. If you do not have this update you can still download the OVA and access the host web client that way. Currently it only works if you have vSphere 6.0+ but once version 5.5 U3 is released, it will also work with that version. Here is a link to download the fling. The client is very responsive and has a nice UI. Not all the features are currently supported, but more will be coming at some point in the near future. This HTML web client is only available as a fling at the moment. You will need to deploy an OVA and register the appliance with the vCenter that you would like to manage. Being a fling, not all features are included. It basically focuses on VM management, but I am sure they are working to port all the features over at some point (I hope). To deploy this ova, you will need to enable SSH and Bash Shell on your VCSA. 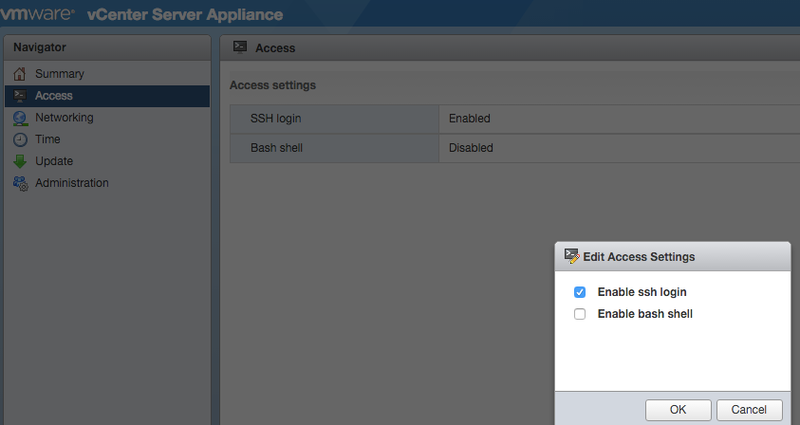 You can do both from the VCSA web UI. If you are running Windows based vCenter refer to the Fling documentation here. After deploying the OVA, creating an IP Pool, and enabling both SSH and Bash Shell on VCSA, it is time to configure the appliance. The HTML Web Client is pretty awesome, I gotta say, even if not all the features are there yet. It is super clean, and responsive. I can’t wait for it to be embedded with a full feature set. With so many tools and features from many different vendors, it is almost impossible to research them all and find useful tools to make your job easier. Some features also provide a faster/cheaper way to solve common problems without spending a fortune, unfortunately, these “Golden Nuggets” are often underutilized. I’ll post a few quick tools that may make a big difference in someone’s environment. As always, test before deploying to production. One of the cool features introduced in vSphere 5.5 was vFlash, which replaced swap to SSD from previous versions, but I won’t get into that. 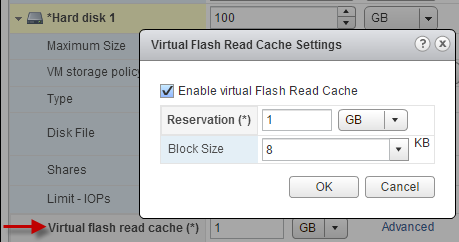 Essentially, this is flash-based read cache on the host that functions at the vmdk level for a specific VM. This feature works by adding flash-based resources such as PCIe cards or SSD drives to create a vFlash pool of resources at the host level, and configuring the amount of storage to be used for host swap cache. Such cache is placed on the data path of the vmdk between the host and the storage array. Once the host is configured, you can expand the virtual disk of a VM’s properties in the Web Client and assign the amount of cache for that particular vmdk, as well as having the option to select the block size (4KB – 1024KB). So, for each pool, chunks are carved out or reserved for a specific vmdk on the host where the VM is located. As far as data locality goes and features like HA, DRS, vMotion; it is possible to migrate the cached data to another host while migrating a VM, as long as the other hosts have also been configured with vFlash. You may also specify not to migrate the cached data during migration. 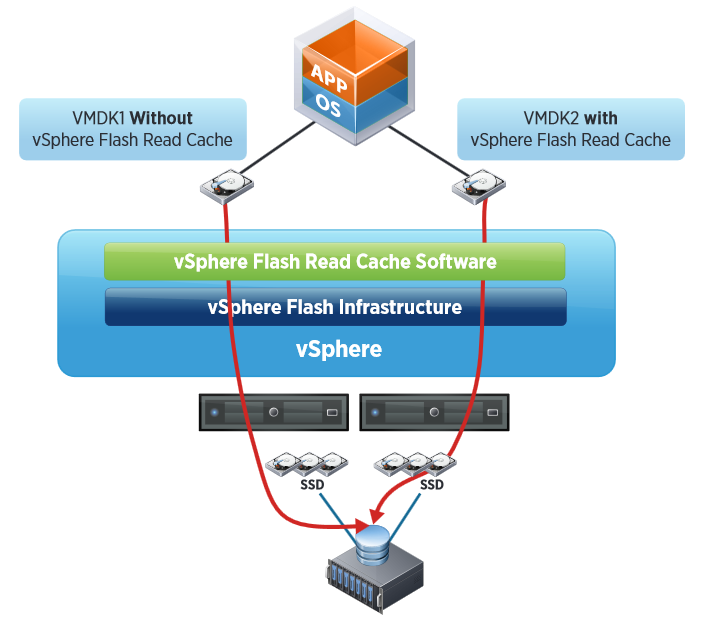 Implementing vFlash can be beneficial for resolving or minimizing performance degradation for read intensive applications, or simply by utilizing local resources at the host level for read cache instead or in addition to storage read caching solutions. Having local cache eliminates the “extra hop” on the network to get to cached data at the storage array. This is a high level view of vFlash but in my opinion, I think this is a nice feature that can get rid of some headaches and fire drills. NetApp’s NFS plug-in for VMware VAAI (VMware vStorage API for Array Integration) is an API that allows for the offload of certain tasks from the physical hosts to the storage array. Tasks such as thin-provisioning and hardware acceleration can be done at the array level to reduce the workload on the ESXi hosts. The steps necessary to deploy VAAI on ESXi hosts as well as the NetApp storage can be accomplished using VSC or ESXi CLI, as well as NetApp’s CLI/Shell. The nice thing about VSC is that it is capable of enabling VMware vStorage for NFS on the storage and also enables VAAI on the VMware hosts if not already done. Prior to installing NetApp’s NFS plugin for VMware VAAI, NFS datastores cannot take advantage of offloading activities such as Hardware Acceleration. 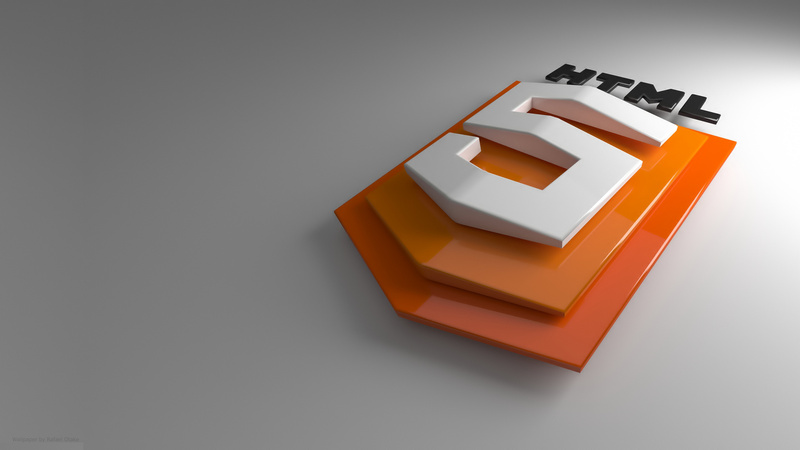 Enable NFSv3 on the storage system. NFSv4 is necessary for C-Mode on the export policy for VAAI to work. 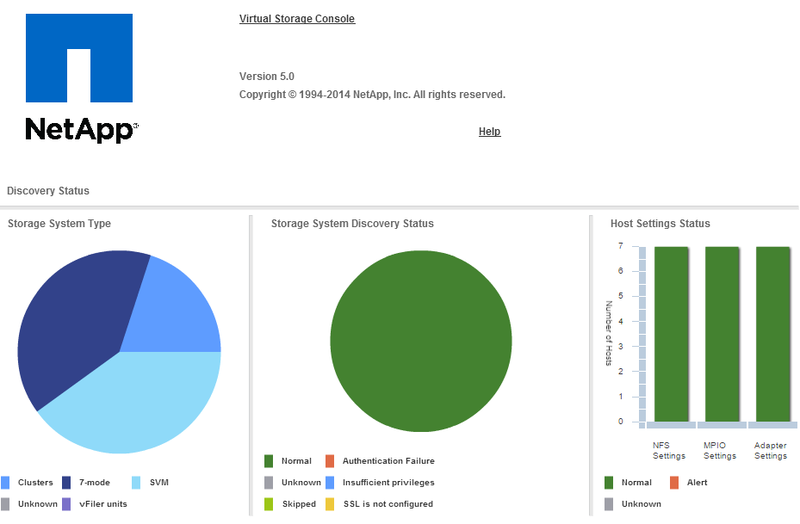 VMware vStorage needs to be enabled on the NetApp storage controller. Since NetApp ONTAP 7-Mode and C-Mode commands are different, you will need to use the one for your array version. Log in to the CLI and run the following command on both nodes of the HA pair. In 7-mode, the option is enabled “globally” at the controller level. In C-Mode, this option is enabled at the SVM (Storage Virtual Machine) aka vServer. Log in to the cluster shell and enable vStorage on the desired vServer. 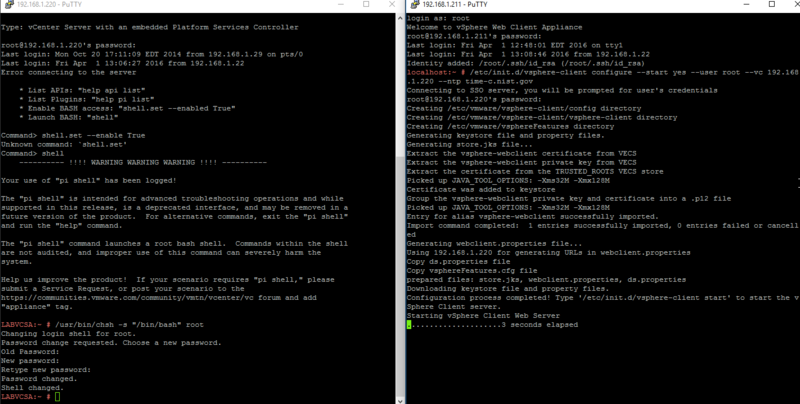 By default, VAAI is enabled on vSphere 5.0 or later, but you can verify using the following commands from the host CLI. If VAAI is enabled, the commands will return a 1 instead of 0. 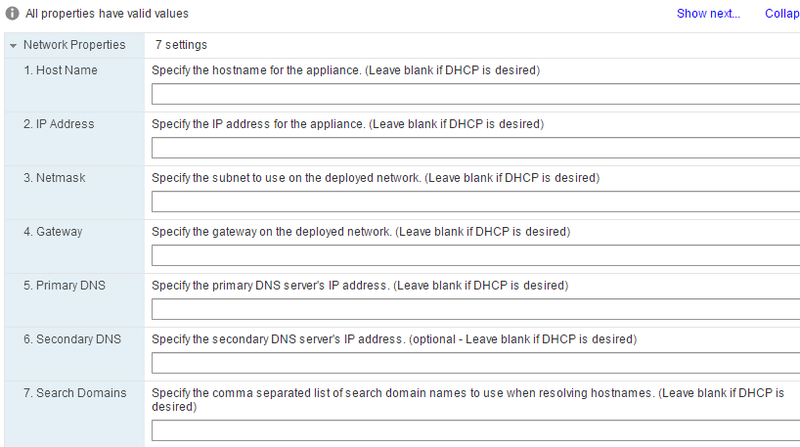 You can also check these settings by using the Web GUI by selecting the host>Manage>Advanced System Settings. You can install the plug-in via VSC or CLI. When using CLI, you can choose to use the online bundle (.vib) or offline bundle (.zip). I will show the offline bundle installation. After you have downloaded the offline bundle, copy the .zip file to a datastore available to your ESXi hosts. You can verify the contents of the bundle by running “esxcli software sources vib list –d <path of your .zip file>”. In this example, the offline bundle is located in the root of a datastore available to this host. At this point, the NFS plug-in for VMware VAAI is installed. Remember that the host MUST be rebooted after installation, so either use vMotion to move you VMs, or schedule some down time after hours to complete the reboot. VSC simplifies this installation. Before you can install the plugin on an ESXi host, you will need to copy the .vib file from the offline bundle to the install directory of the VSC server. The default location is C:\Program Files\NetApp\Virtual Storage Console\etc\vsc\web. Also make sure that the name of the .vib file is NetAppNasPlugin.vib, if not, rename it so you don’t have to restart VSC or NVPF service. Don’t forget to reboot the ESXi host after installing the plugin. VSC>TOOLS>NFS VAAI Tools >Install on Host>Select host and reboot. After installing the NFS VAAI plug-in, NFS is now supported for Hardware Acceleration as well as other enhancements. As I mentioned in previous posts, NetApp’s VASA Provider for VMware vSphere allows for the management of storage through profiles, and gears towards the Software Defined Data Center (SDDC) approach. In order to deploy VASA provider, you will need to download the NetApp VASA provider for vSphere from NetApp’s support site. There is an ONTAP 7-Mode flavor and also an ONTAP C-Mode flavor, so choose the one that matches your environment. Deploy the virtual appliance (OVA) using VMware’s client and provide the necessary information for the virtual appliance. 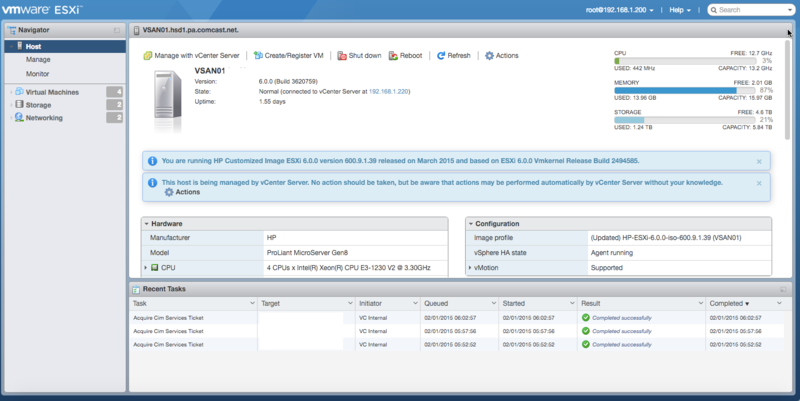 You will also need VSC already installed in order to register the VASA provider after installation and configuration. During the first boot, VMware Tools installation prompt appears. Mount the VMware Tools and hit enter to install VMware tools and continue installation. 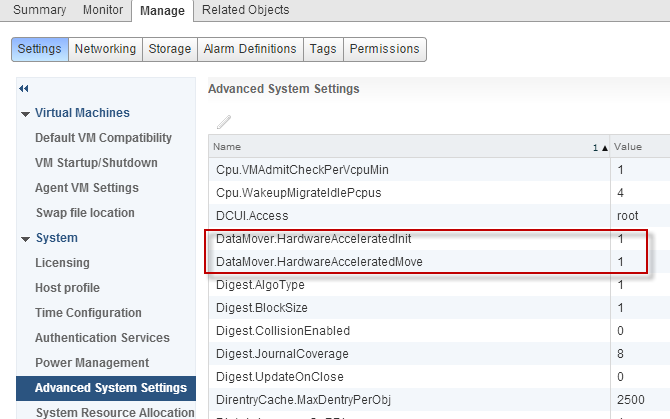 Change the CD/DVD configuration on the virtual appliance to “Client Device”. 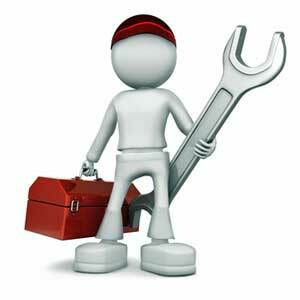 Provide passwords for maintenance account (maint) and vpserver account when prompted. Use the vpserver account to register VASA with VSC from the VSC configuration page by providing the IP address of the VASA provider. Configuration settings will appear after installation. Use the Web UI for normal use and the maintenance console (CLI) when the Web UI is not accessible. Note that the Web Console utilizes port 9083, so make sure to enter the correct TCP/IP socket when using the WEB UI. At this point, VASA has been deployed and configured. 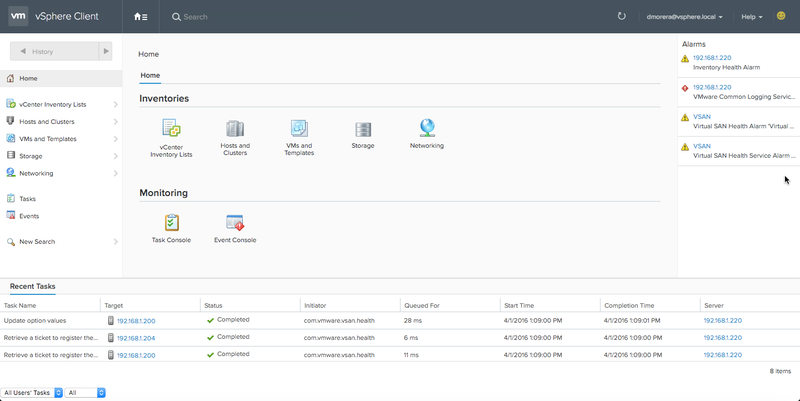 All that is left to do is register the VASA Provider with vSphere via VSC, and enjoy the benefits of NetApp and VMware integration. NetApp VSC, VASA, VAAI for VMware vSphere: Why do I need this? In most software meetings, round tables, and customer reviews and councils I have been part of, the feedback has been about a common topic the majority of the time. Customers want to have a single location/interface to manage multiple products. Fortunately, some aspects of NetApp storage can be managed through VMware’s WEB UI by leveraging Virtual Storage Console (VSC), VASA provider, and VAAI for VMware. VSC is a vCenter plug-in that delivers VM management for environments running NetApp storage. VSC allows for storage configuration and monitoring, datastore provisioning and VM cloning, online VM optimization as well as backup and recovery of VMs and datastores. VSC is a very useful and convenient tool that will give you a glance of your storage status and also allow you to optimize your VMs that have not been properly aligned by migrating them to another storage target and aligning the VMDKs properly. The VASA provider for NetApp ONTAP is a virtual appliance that supports VMware’s VASA (vStorage APIs for Storage Awareness). It leverages VSC as the console and provides information to the vCenter about NetApp Storage that has been associated with VSC. VASA allows for the management of storage profiles defined as Service Level Objectives (SLO) as well as alarms to monitor the NetApp environment when aggregates and volumes are nearing their storage capacity. The last piece of the puzzle is VAAI. VMware VAAI (vSphere Storage APIs – Array Integration) allows for hardware acceleration and offload certain operations that originally occurs at the host level, to the storage system. This reduces the overhead and consumption of resources on the ESXi host and improves performance. VAAI is great for speeding up I/O operations on the VMware side. You could pick and choose which of these components to install as you see fit, but ideally you would want to deploy all three to take advantage of these enhancements and integration. The VSC software is installed on a server and associated with a specific vCenter. The NFS plug-in for VMware VAAI is installed on each VMware host and the VASA provider is deployed as a virtual appliance. It is important to point out that VSC can also be utilized to set NetApp’s recommended values on ESXi hosts for better performance.